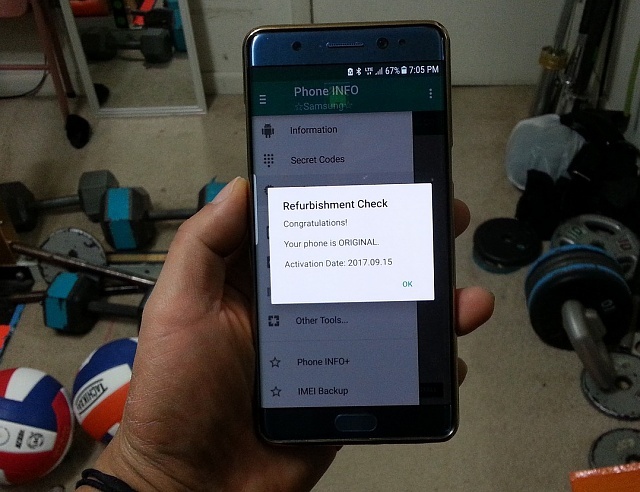 Did anybody who bought the Note FE used Phone Info to check their device to see if it was new or original? It said my phone was original but it was activated on 9-15-2017. I just bough this phone on Feb. 2, 2018........I'm assuming I got a used phone because it was activated 5 month ago. I also went into About Device and checked my Sim status. It also showed that the first called was made on 9-15-2017. When I got the phone, the box was sealed but I noticed there was no plastic on the front or back of the phone and no sticker on the back of the phone either. I caint pay $770 for a used phone! Yeah, basically the entire Note FE line is all the Note 7's that were produced which had the batteries replaced. This includes the ones that were returned. Technically though, Samsung certifies your purchase as good as new and has warranty to cover. I thought the whole point of the FE was to re-use all those Note 7s that got returned? How could it NOT be a refurb? The entire Note FE line is returned Note 7s with smaller batteries installed. The activation around 9/17 seems a bit odd, but I wouldn't worry much about it personally. Yeah I think it's a note 7 unit with battery replaced. 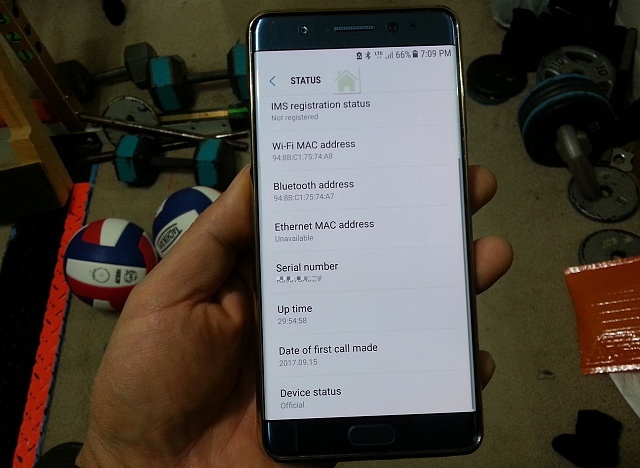 As others noted, all FEs are re-purposed Note 7s. Also, the activation/call might be from Samsung's QA team testing? But yeah, if you purchased an FE, you're not getting a freshly-made phone. That's the point of the FE. By JC8865 in forum New to the Forums? Introduce Yourself Here!